With the Nationals taking on their first NL West opponent of the season, Stephen Strasburg matches up against the son of his first catcher. 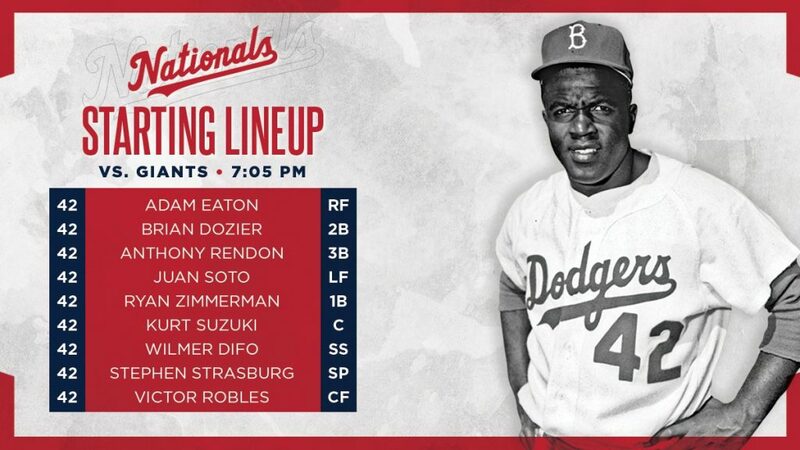 Yes, Ivan Rodriguez caught Strasburg’s MLB debut on June 8, 2010, and Dereck Rodriguez is the Hall-of-Famers’ oldest child who pitches now for the San Francisco Giants. Dereck was a teenager when his dad was a Nats’ player in 2010 and 2011. The younger Rodriguez was a student at Monsignor Edward Pace High School in Miami, Florida when the Twins drafted him in the 6th round in 2011. After seven years in the Twins minor league system, they released him and the Giants signed him prior to the 2018 season, and DRod made his debut in May of 2018. This season, he made the Giants team out of spring training. The Nationals did face Rodriguez last year in his rookie season. Lefties hit him better than righties by about 50 points on the OPS, and Rodriguez pitches worse on the road by 42 points in batting average and OPS. As you can also see when he faced the Nats before, he walked a lot of batters. For Stephen Strasburg, he is hoping to pitch another gem like he did in his second start of the season. The Nationals so far are 2-and-1 in Strasburg’s starts. He is pitching on extra rest as he has not pitched since last Tuesday. The Nationals bullpen should be very rested with a nice reset with only Wander Suero pitching on Sunday, and with the day-off yesterday the over-worked arms in the bullpen like Sean Doolittle received two days of rest. The bullpen has improved their ERA by over 3.00 points to 7.75 which is still the worst in the Majors. The good news is that the Nationals starting pitching has been improving and are ranked 9th best by ERA at 3.69. The Giants starters are slightly ahead of the Nats at 3.38. If there is any good news for the Nationals is that the Giants are the worst team offensively in the Majors and as a team are actually batting below the Mendoza line at .199 with an OBP of.259 and an OPS of .572. Is it a lot of bad luck or some other factor? Joe Panik is the hardest man to strikeout in baseball with only 2 K’s in 51 at-bats but yet he is batting just .209 for the Giants. 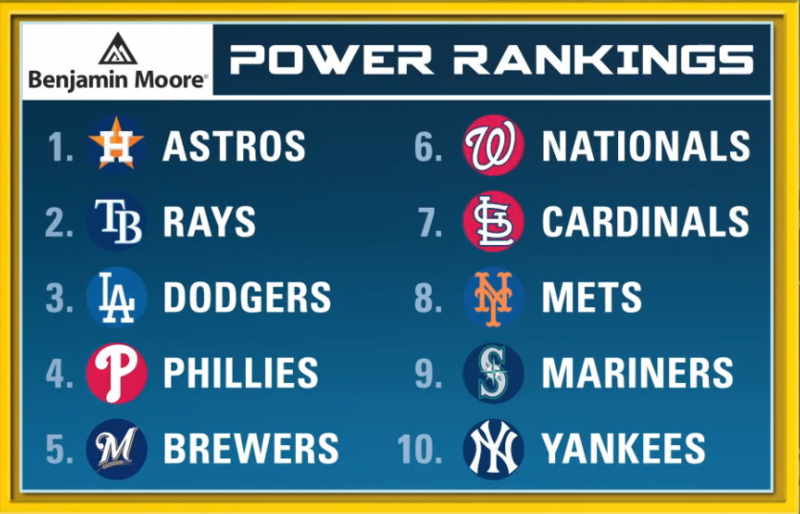 Week #3 Power Rankings are released, and the Washington Nationals with their leaky bullpen still have believers who are ranking them 6th overall. The Phillies are at #4 even with their mediocre starting pitching so if things ended like they project the Nationals would be the Wild Card team. Of course there is a long way to go as we are not yet to the 10% mark in the Nationals season.